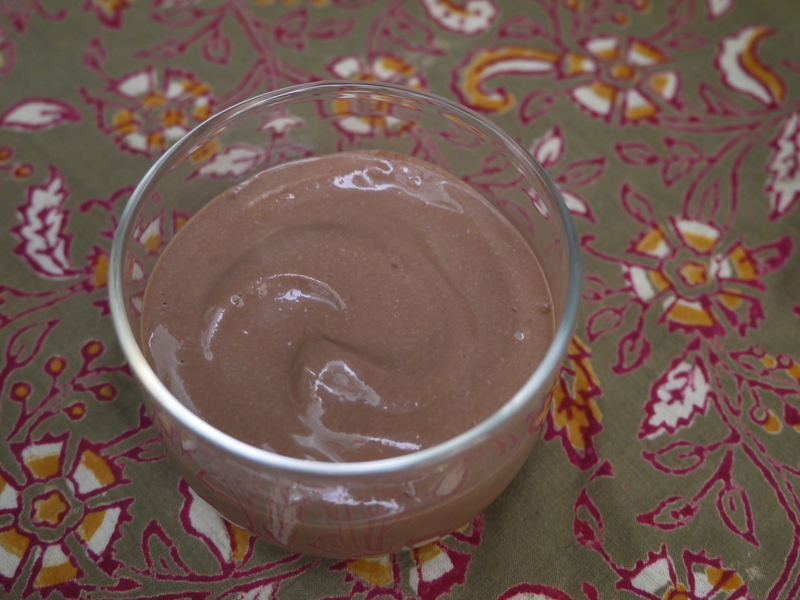 Vegan Chocolate Mousse – not just for vegans! My friend I-Wen brought this chocolate mousse to a BBQ the other day, and people gobbled it right up, before we had even finished the meal part of the BBQ. It is light, flavourful, and pretty much guilt-free! And did I mention easy to make? 1. Melt the chocolate on top of a double boiler, or in a bowl on top of a small pot of water. 3. Throw all the ingredients into a blender or food processor (I used an immersion blender), and blend until it is all combined. 4. Scoop into bowls and refrigerate until cold. I can attest – this is worth it!! !